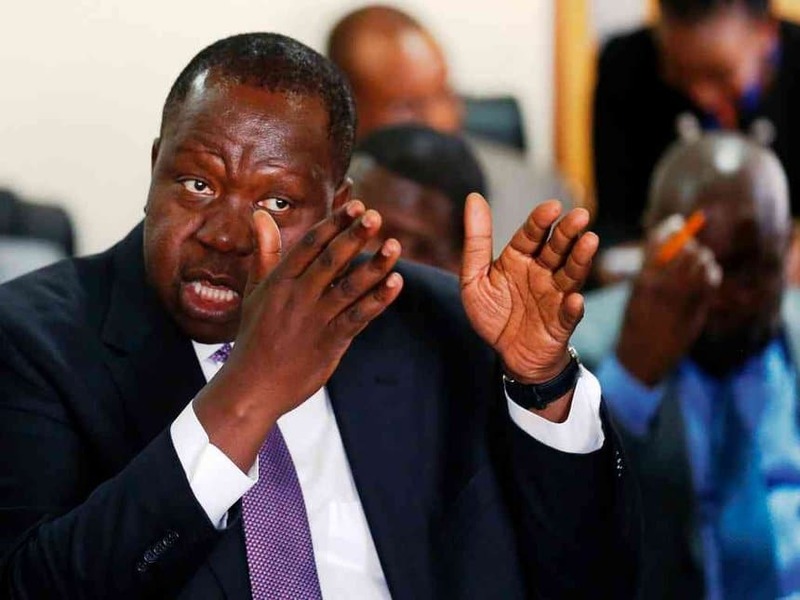 Contraband products worth over Sh.1.2 billion will be destroyed next week, CS Interior Fred Matiang’i has told a Joint Parliamentary Committee. Speaking on Thursday following numerous summons, the CS divulged that sugar was not the only commodity in the market that is contaminated with mercury, lead and copper. “It is important we be truthful to the people. There is some contaminated sugar in the country, and it is not only sugar; tomato ketchup, rice, fertilizers,and juices. Tests are being done on these products,” the CS said. The bullish minister also noted that at least 72 people implicated in the sugar scam have been arrested, with more to follow. “1.4 million bags of sugar that we are holding is not a small matter. Public servants who have colluded will also be prosecuted,” Matiang’i warned. Legislators present told the CS that his allegations had caused a hike in sugar prices and scarcity of the product. “I don’t know if there’s scarcity or whether there’s any relationship between what we are doing and cost of the same. We will continue with this exercise forever until we get rid of harmful sugar,” the CS responded. But the CS declined to answer questions pertaining to the sugar companies implicated in the sugar scam. On Wednesday, CS Agriculture Mwangi Kiunjuri told journalists that he did not know how a company associated with President Uhuru Kenyatta’s younger brother, Muhoho Kenyatta, made it to the list of sugar importers he presented in Parliament. “I was surprised when a concern was raised by owners that a company not licensed to import sugar had its name sneaked into the list I presented in Parliament,” CS Kiunjuri said. Muhoho’s company, Protech Investments, the CS said, is not not licensed to import sugar.